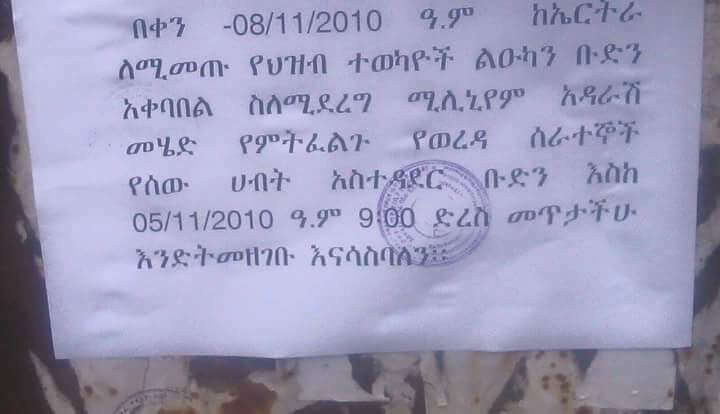 According to reports from a notice sent to Ethiopian local government offices and social media sources guests are coming to visit Ethiopia and to be present at the Millennium Hall. Ethiopian based News media The Reporter also tweeted that. President Isaias Afewerki of #Eritrea is due to arrive in Addis Ababa, #Ethiopia on Saturday, July 14, 2018 according to Ethiopian Press Agency. Ethiopian Prime Minister Abiy Ahmed visited Eritrea last week and renew the 20 years the broken relationship between the two countries. With hugs and cheers, the leaders of Ethiopia and Eritrea have met for the first time in more than 20 years amid a recent thawing in relations between the two long-time East African rivals. In a landmark visit, Ethiopia’s Prime Minister Abiy Ahmed landed in the Eritrean capital, Asmara, on Sunday, for a bilateral summit, aimed at repairing relations between the two countries. 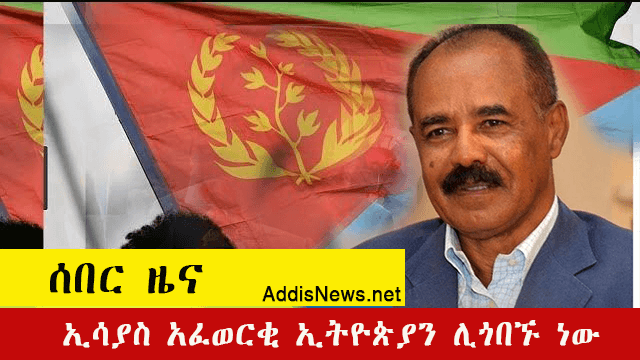 Eritrean President Isaias Afwerki warmly greeted Abiy at the airport, Eritrea’s state television showed.